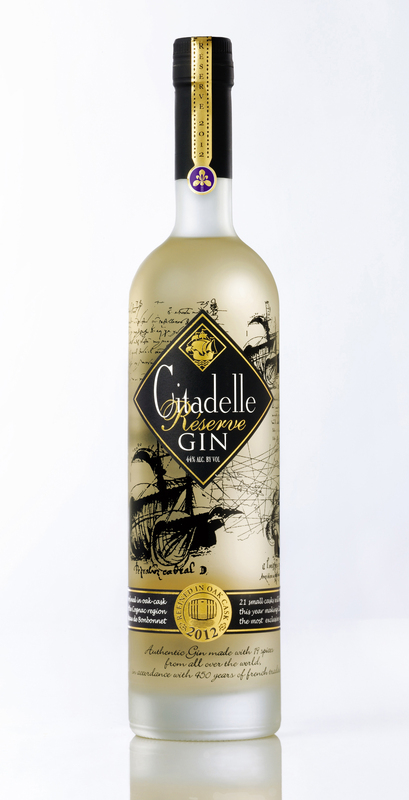 It has been many years since we last checked in with Citadelle, a French gin that comes in two varieties, a standard rack bottling and a vintage “Reserve” version that’s aged in Cognac casks for six months, giving it a pretty yellow hue. I won’t delve too deeply into the botanicals and production process behind Citadelle (see the above link for all that info), but did want to update my reviews for 2013, particularly my dated coverage of the 2008 and 2009 Vintage reserve bottlings. The standard gin decanter has been updated lately, too. Both expressions are 88 proof. Fresh thoughts follow.